SALINAS, Calif. (September 21): The Racers Group brings a strong two-car GS line-up to Mazda Raceway Laguna Seca this weekend, returning to IMSA competition in the Continental Tire Monterey Grand Prix. Anyone who’s familiar with the Laguna Seca track can appreciate that watching drivers race down the seven-story drop at the famous corkscrew turn in either of the team’s Aston Martin V8 Vantages during Saturday’s four-hour Continental Tire 240 race will be an unforgettable experience. TRG has a proud history here — it’s where the team first began to race professionally and has since garnered many wins across multiple series at the track, starting off in the early days of PCA, to early IMSA and Grand Am, Daytona Prototypes, the factory GTO program and to modern day GT and GS. The team was victorious in back-to-back GT races in 2011 and 2012 for the six-hour season finales. Craig Lyons and Kris Wilson lead off in IMSA Continental Tire Sportscar Challenge GS action in the TRG No. 3 Stor-it | Mobettah Aston Martin GT4. Lyons is relishing his return to Laguna Seca, where most recently, he scored a win in Porsche Club racing. 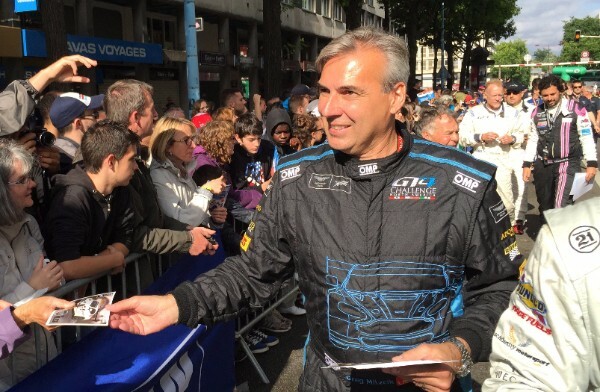 In past seasons, he’s had success — and wins — in the Porsche Pirelli GT3 Cup Trophy Series as well as solid runs in Continental Challenge and Pirelli World Challenge, honing his race craft and getting quicker with each and every race. 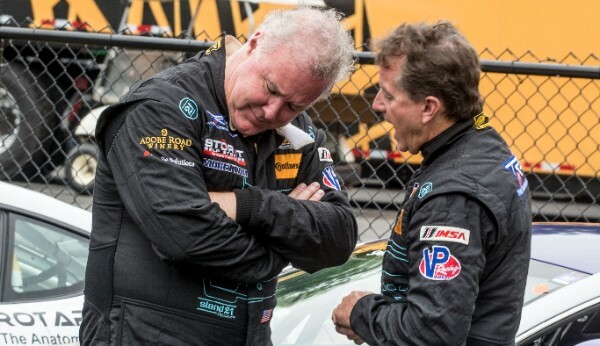 Craig’s co-driver and driving coach, Kris Wilson, competed a full season in IMSA Continental Tire SportsCar Challenge with TRG in 2014. 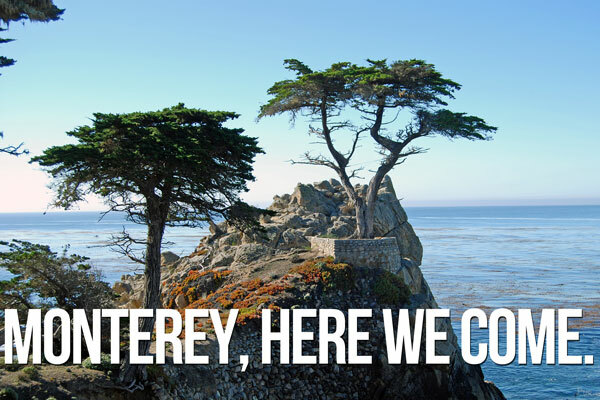 His pro career began at Laguna Seca, too. This season, Wilson notched a hard-fought victory and second place finish in Pirelli World Championship SprintX action at Virginia International Raceway (VIR). Kris has also competed in various top sportscar series including Rolex Series, World Challenge, World Sports Car and American Le Mans Series. As fans have come to expect, anytime Wilson gets behind the wheel of a race car, wins and podiums are well within his grasp. “I’ve taught racing schools and tested cars at Laguna for over 20 years. I have thousands of laps around here. It is my home track,” Wilson adds. TRG is also proud to announce the return of Greg Milzcik to Continental Tire competition in the TRG No. 71 Wolfwood Refuge | Newfoundland Place Aston Martin GT4 . 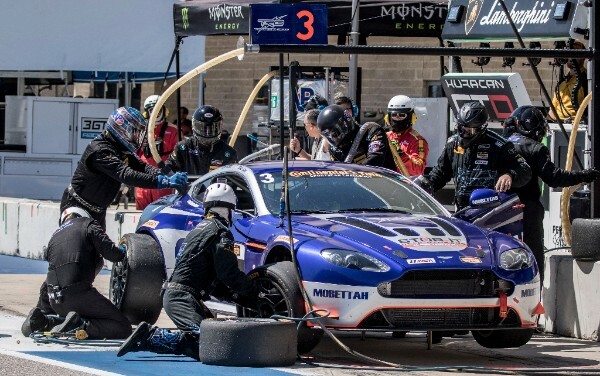 Milzcik will be joined by co-pilot and longtime TRG driver Brandon Davis, who most recently competed in the TRG #007 Aston Martin GT3 in IMSA WeatherTech race at Lime Rock Park. 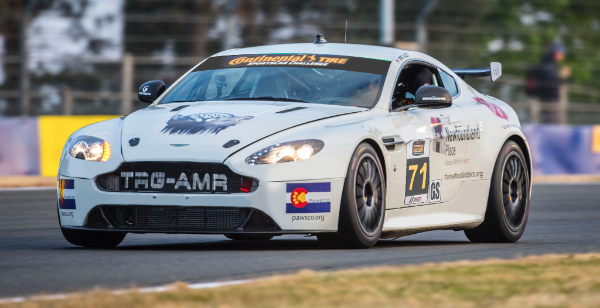 Milzcik’s strong history with The Racers Group includes taking second place as a rookie in the Aston Martin GT4 Challenge of North America Series, competing in all 8 rounds of the inaugural season in 2014. Learn more about joining TRG and our next races by visiting theracersgroup.com/events. Next on the TRG schedule is the European-based SRO Blancpain Series SRO Motorsports Group Intercontinental GT Challenge, which will include an eight-hour GT endurance contest with U.S.-based GT teams.